May we propose a toast? 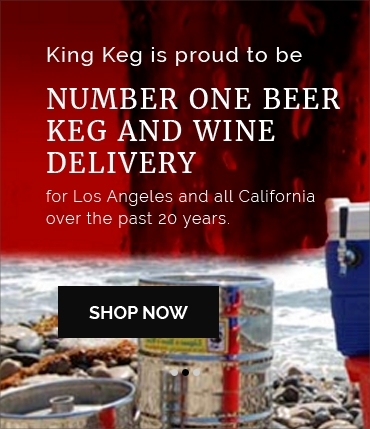 At King Keg, we've been the leading keg & kegerator service in Los Angeles for more than 20 years, and we're proud to offer kegs of beer, wine, coffee, and even kombucha for events and corporate offices – but we do more than just keg services. In addition to kegs, we're proud to offer convenient, affordable alcohol delivery, including champagne & sparkling wine delivery. Our inventory features world-class champagnes and sparkling wines from all over the world, so no matter what you're celebrating, you'll find the perfect champagne for your event. We offer champagne bottle delivery, champagne gift set delivery, and even canned champagne delivery, making it easy to get the perfect bottle of bubbly whether it's a big occasion or just a routine work party! Do you have a larger event where multiple bottles of sparkling wine are needed? We also have a selection of sparkling wines and rosés available in kegs! Getting sparkling wine delivered in a keg makes inventory much easier, as there are fewer bottles to count and you also preserve the bubbly longer than if it were stored in a bottle. Browse our inventory of champagne and sparkling wine below, and don't hesitate to reach out to us at our contact page with any questions on our keg service or other offerings. We look forward to hearing from you!